I'll have a B26 Christmas without you. Way to go Beth! I'll have a B26 Christmas without you as well (I think this game is kinda fun). Thank you all for leaving comments on my blog. Colleen and I are so happy that people are enjoying our book, and we are thrilled that we can help someone new win a copy of the new book. Actually Leslie, I love to color on my stomach. growing up I would usually draw and color on my bed while laying on my belly. It takes a little longer to get up from that position than it used to, but I still love it. Congrats on winning! We hope you enjoy the book! This weekend, I need to get away. I've been cooped inside coloring waaaay too much. Not that coloring is a bad thing, but the world is a really big place. So, I'm grabbing my markers, I'm leaving my desk, and I'm gonna Paint the Town R29! (Actually...I've been coloring with the Copic Instructor Team!) We just had our annual team meeting, and yesterday we got to all wear our new shirt. Do you also need some new threads to wear as you get out on the town? Today we’re giving you a chance to win your very own Copic t-shirt! Leave a comment on this post and you are entered to win your very own “Paint the town R29” shirt. I’ll choose a winner on Tuesday, October 30th. As part of your comment on my blog, please leave your favorite color saying, but substitute a copic color instead. For instance, I'm tickled RV04 (shock pink) or I'm feeling a little B12 today (ice blue). Be creative! Like, This week I went to the beach and got an E13 (light suntan). Then, go check out the other blogs and enter to win. You have lots of chances to win! Enter at each blog, then check back to see if you’ve won. Can’t wait to win? These t-shirts are exclusive to the Copic website. You can purchase your very own “Paint the town R29” from the Copic store. Check out our growing selection of limited edition t-shirts, exclusive to the Copic site. Please Note: Contest is only open to US and Canada residents. Commenting has now closed- Thank You! Can I tell you how excited I am to have a blog hop for this book? I am Thrilled! Colleen worked so hard to pull together all the finishing touches to make this book a reality. I had a lot of fun working with her to create the tutorial images. We really wanted to get a wide variety of looks and styles into this book, and I feel that we succeeded. 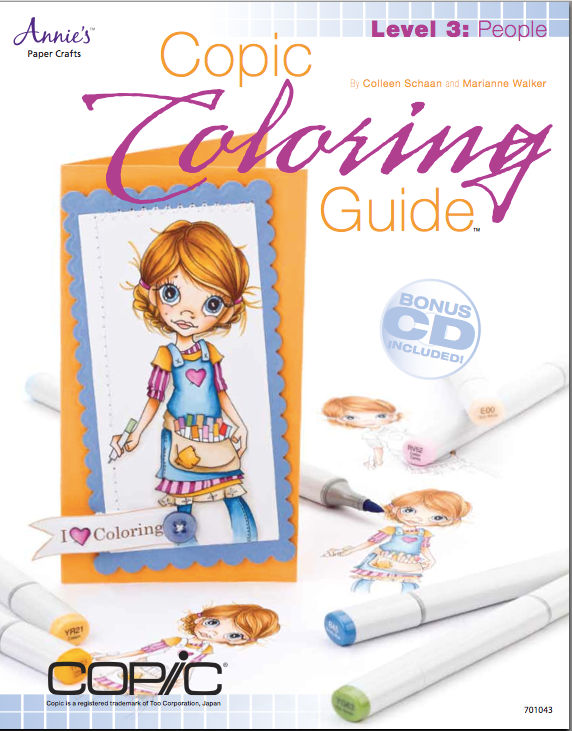 Today we are doing a very special blog hop, in honor of the Copic Coloring Guide, Level 3: People. I was asked to share my favorite project from the book, and while I really love my card project, I must say that one image I had the most fun drawing and coloring was my Author image/self portrait. You can see here how much I enjoy coloring. I love this image. It is me in an idealized world. Nowadays, I am usually sitting at my desk, coloring and working on something that needs to go straight onto my computer because it was due last week. Not quite as much fun as laying on the floor, just happily drawing whatever I want. I really don't like self-portraits. I hated those assignments in art school, and I never liked drawing myself in a realistic manner...so I wouldn't. I almost always draw myself as a comic. The hair length is usually reflective of actual length at the time of drawing. Here's a self-portrait form a 2008 blog post. You can see in this image I have shorter hair. Some artists never change the way they draw their self-portrait, and so it may not be reflective of what they really look like. But you could totally pick me out in a crowd, based on my author image, right? The picture I drew for our third Copic book is actually based on one of my favorite self-portraits, however. This image I drew back in 2006 for a gallery show. I think this pretty well sums up what I feel about the notion of realistic self-portraits in general. I was not happy at that time with the notion of a self-portrait, but it was rather important, as it was supposed to go with my artist statement. Not very nice to throw darts at your own picture! Now, to get on with our exciting Blog Hop!! Please visit the other contributors to this fabulous book. 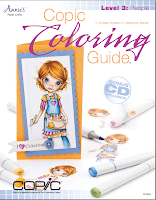 Inside Copic Coloring Guide Level 3: People, you will find a CD with blank tutorial images to color, and detailed step-by-step directions, as well as many fabulous finished card projects. To help kick off the celebration of the new book... each designer on the hop is giving away an autographed copy of the book...signed not only by Colleen and myself, but by the individual designer too! Please comment on this post for your chance to win your copy of mine! Commenting will be closed on my blog at Midnight, on the 26th. Winners will be announced on each designer's blog. OK, have fun hopping along, and good luck winning your own copy!! 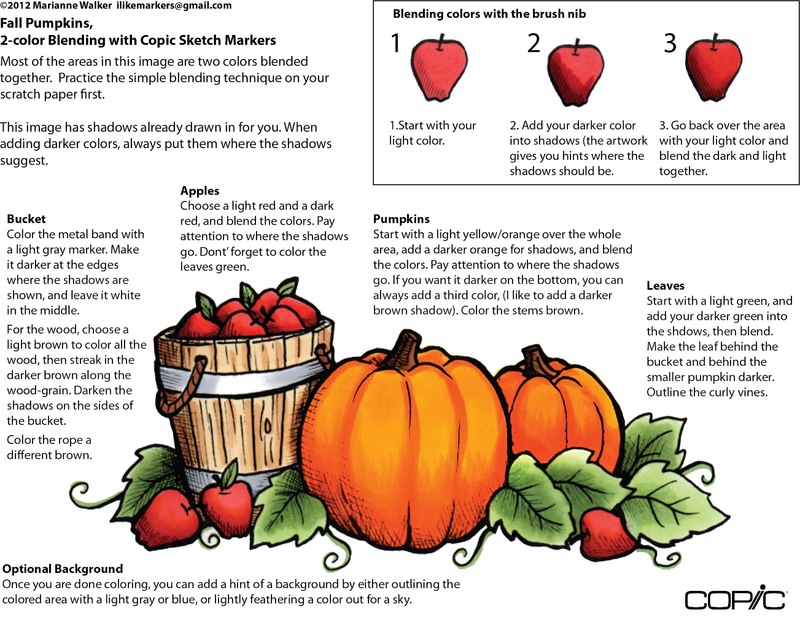 Tonight I am teaching a private workshop to beginners, and one of the projects we are coloring is this lovely Fall pumpkin image that we shared as a freebie a year ago or so. It was really popular, so I wanted to use it again. It is generic, as I am using a variety of colors, and no two attendees will have the same colors. You can easily adapt any of your own color combos into this project. However, this is a truly beginner project. The lines show you where to put shadows, and the areas are simple enough that beginners should have no problem experimenting. 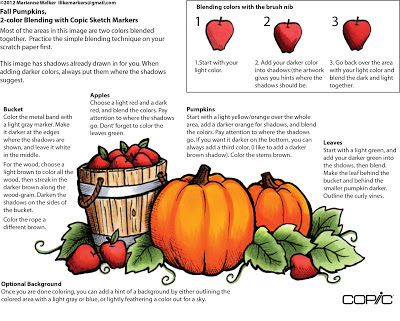 Note that when teaching beginners, it is sometimes easier to color large images. I have printed the blank picture out to be about 4 or 5 in. wide, so my attendees can have an easy time. This handout is meant to be printed at 8.5 x 11 in. 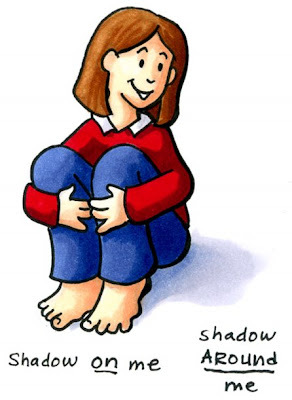 so beginners can really see the image enlarged and understand where to put shadows. I hope you find this useful. Please use this to teach others! We still have a few classes open in 2012. Look in November for our 2013 class schedule. Register now for any of our remaining 2012 classes.